The first bicycle lift in the world is located in Trondheim, Nordway. It was originally built in 1993 as a test project, but after a year it got the authorization of the local administration for public use. The lift was on service for more than a decade and now it is apparently under renovation to meet the safety standards. The bicycle lift works similarly to a sky lift, the main difference is that the machinery is buried under the pavement. The rails are designed so that the pedestrians and vehicles can cross it safely and unhindered. This makes it suitable for the streets of almost any city. The bicycle lift is a great idea for steep urban areas. It can make the everyday life of the current bicycle commuters easier, and it may empower other persons to use the bicycle as means of transport. The distance between the footplates is 20 meters, thus the lift can continually carry one cyclist each 20 meter. The speed of the lift is 2 m/s (4-5 mph), giving a maximum capacity of 6 cyclists per minute or 360 cyclists per hour. With a distance of 130 meters, 6 cyclists can take it simultaneously. Design Managment, the company that designed the first version, joined forces with Pome and created a new design. The new version is called CycloCable. You can find more details about the system here. 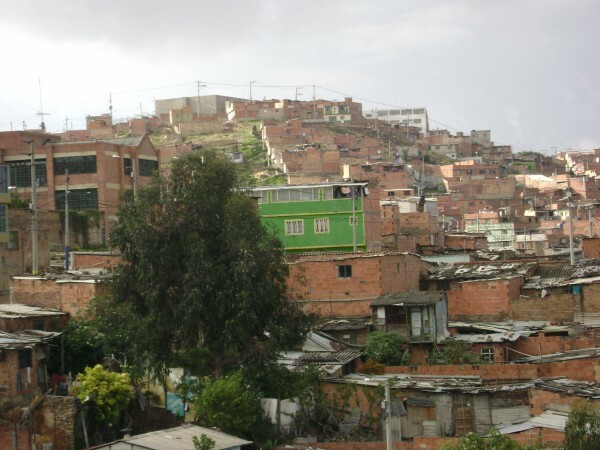 When I first saw this project I immediately taught about many south american cities, where there are plenty of neighborhoods located in very steep areas, with a population that really needs an affordable means of transport like the bicycle.